PCN Flight West: NWA/DL pilot Wells W. Whitney Jr.
NWA/DL pilot Wells W. Whitney Jr.
USAF veteran, NWA/DL pilot Wells W. ‘Skip’ Whitney Jr.
Belated notice with the passing of NWA/DL pilot Wells W. Whitney Jr., age 58. USAF Captain Whitney joined Northwest Airlines 03-30-1984. His obituary notes that his passing had come after an extended illness. Should we hear more we will be sure to pass it along. Wells W. (Skip) Whitney, Jr. died on April 25, 2014, age 58, after a long illness, in the loving arms of his wife, Toni, and surrounded by family and dear friends. 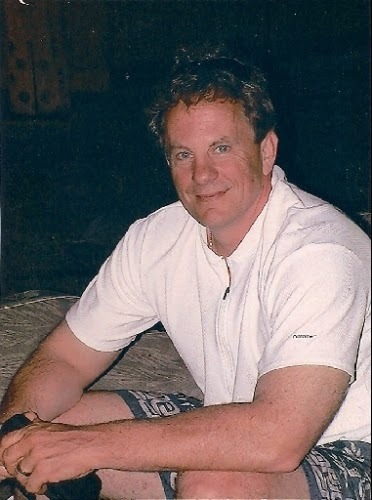 Skip grew up in Longmeadow, Massachusetts and graduated from St. Lawrence University in Canton, New York, where he was President of Sigma Alpha Epsilon fraternity, a member of the ski racing team and an accomplished drummer in a band. He joined the Air Force Reserves and completed jet training at Vance Air Force base in Enid, Oklahoma, becoming a Captain. He went on to become a C141 Aircraft Commander in the United States Air Force 732d Military Airlift Squadron out of McGuire Air Force Base in New Jersey spanning 10 years. He flew NATO missions during peacetime and served in Operation Desert Storm, receiving a Commendation Medal for his recognition as a superior officer and earning an Air Medal Award for Meritorious Achievement in Aerial Flight under extremely hazardous conditions. Skip became a pilot for Northwest Airlines and had a distinguished career where every day was a joy to fly. His adventurous spirit, love of life, genuine heart, and sweet soul earned him trusted friends and the love of his life, Toni. He was an accomplished skier, musician, woodworker, scuba diver and loved to cook, flyfish and go sailing with longtime friends. Skip and his wife traveled the world together and were completely devoted to each other. He gave freely of his time to help others in any way he could. He and his wife became active with Dahn Yoga which brought him such peace in these last years. The family would like to thank all of the generous, wonderful people at the Dahn Yoga centers in Seattle and Kirkland, where he attended, for their amazing support and caring. The family would also like to thank Dr. Ben Chue and the exceptional staff at Lifespring Cancer Treatment Center in Seattle for giving Skip the best care possible and extending his life well beyond what others could provide. Skip is survived by his wife, Toni, her sisters, Patricia Kaminski and Linda Kaminski; his mother, Thelma Whitney, and father, Wells Whitney and his wife Gloria; brothers Christopher Whitney and wife Andrea, David Whitney, Scott Whitney and wife Kristyn; sisters Julie Whitney, Jennifer Abrahamson and husband Peter, Mary Elizabeth Whitney; 11 nieces and nephews. Memorial services will be held in Seattle and Rhode Island.